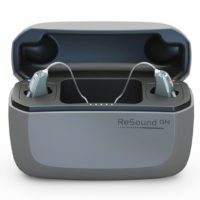 The ReSound LiNX 3D hearing aid is the newest of Smart Hearing aids from ReSound, and is suitable for those with a mild to severe hearing loss. The Smart Hearing aspect of this hearing aid is its diverse connectivity with the iPhone, as well as its ability to adapt to the user’s preferences and circumstance as opposed to having the user adapt to them. This allows a seamless and optimal listening experience from the first wear. 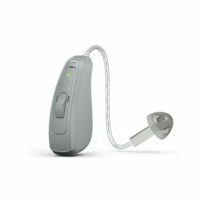 The features of this hearing aid include Superior Sound which provides the user with both high quality and a wide range of sound which works closely with the data input from the sound environment. By doing so, the hearing aid recognises, and thus separates, verbal input from hindering background noise, regardless of its location. 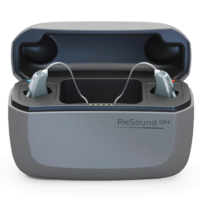 When compared to other hearing aids currently on the market, the ReSound LiNX 3D is 50% better at identifying speech, hears 80% more sounds, and understands 40% more speech in noise. With regards to design, the hearing aid is both discreet and comfortable – measuring at 2.08 centimeters; ensuring that while the user focuses on listening, no one focuses on the hearing aid. The receiver-in-canal (RIE) model is the most popular due to its small size. Furthermore, the hearing aid is available in a multitude of colours. For further personalisation, there is also the ReSound Smart 3D app available to download in order to personalise and regulate the function of your hearing aid in all social environments. One of the best, and technologically advanced settings of the hearing aid is the ability to save the chosen settings of your hearing aid of a location on the app and when the user returns to that location at a later date, the app will automatically revert back to those settings. Furthermore, should the user lose their hearing aid, they are able to track them through the app. The app also provides the user with a tinnitus management program that masks tinnitus with relieving sounds. Finally, there is the possibility of utilising ReSound Assist which offers remote tuning from the audiologist responsible for the user by sending a request via the app. 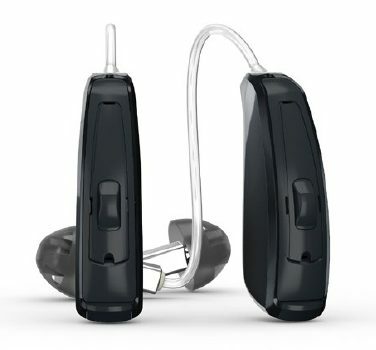 When compared to the ReSound LiNX 3D 5, the 3D 7 has 14 channels to the 12 of the 3D 5. They both have 4 hearing programs. Features that are not found on the 3D 5 includes Binaural Directionality technology which ensures a focus that will prevent the user from missing anything while socialising by cancelling out loud sounds behind the user and enhancing forward-facing focus. Synchronised Soft Switching is also not a feature on the 3D 5 which detects the amount of sound and speech and automatically yet progressively adapts the microphone to provide a comfortable listening experience. Finally, the 3D 5 has basic versions of various features also present in the 3D 7.